Since 1990, Club 609 has been serving the Joplin community some of the best and innovative meals this area has ever seen. This restaurant has many more goals than to just be rated a top restaurant in the area, they also came into existence with the idea of entertaining crowds, giving people a common meeting place to relax and enjoy each other, as well as creating a fun atmosphere. Aside from the ever-changing artwork displayed on the walls at Club 609, they also keep the flair going with daily specials, happy hours, and excitement from their employees. Club 609 values the Joplin area community and all that they have to offer, especially in the realm of art. For years, Club 609 has been displaying local artists’ work on the walls of the restaurant. This not only supports the community by getting these artists’ work made public, but it also creates new conversation pieces for when a hungry crowd enters the restaurant. Although just a small piece of Club 609, the artwork presented serves a valuable purpose to the owner and the support they give Joplin, MO. If you’ve ever visited Club 609 for a meal, then you know that there are always new items being added to the menu and a list of daily specials that are constantly evolving. When paying attention to all the updates taking place, it becomes rather apparent that Club 609 finds an enormous amount of passion in their food. Never quitting at satisfaction, this restaurant discovers new ways to excite your taste buds, making you remember their food for future meals. It’s a rarity that anyone eats at Club 609 just once without returning. Club 609 also finds value in being a place where people can hang out over a couple of drinks. With their installment of happy hours six days a week, they pose as a great landing spot for friends and family to gather. The atmosphere is a key factor for Club 609, and in order to give their customers the most, they’ve worked very hard to preserve this restaurant and bar as a fun and inviting place to be. Tying into atmosphere, the employees at Club 609 also serve a big part in making Club 609 the place it is today. Their friendly staff is known for going out of their way to ensure you, the customer, has the best experience possible. They don’t just care about the food that is served to you, but they also want to ensure that you have fun while visiting the restaurant. Are you looking for a new place to eat and have drinks in downtown Joplin, MO? Then Club 609 is your spot. Club 609 believes that great food and an inviting atmosphere are the foundation to building new friendships. For more information about Club 609, visit us at www.club609.com or give us a call at (417) 623-6090.
as ever seen. This restaurant has many more goals than to just be rated a top restaurant in the area, they also came into existence with the idea of entertaining crowds, giving people a common meeting place to relax and enjoy each other, as well as creating a fun atmosphere. Aside from the ever-changing artwork displayed on the walls at Club 609, they also keep the flare going with daily specials, happy hours, and excitement from their employees.  Club 609 also finds value in being a place where people can hang out over a couple of drinks. With their installment of happy hours six days a week, they pose as a great landing spot for friends and family to gather. Atmosphere is a key factor for Club 609, and in order to give their customers the most, they’ve worked very hard to preserve this restaurant and bar as a fun and inviting place to be.